One of the most special things about Matilda Jane is the love and care that goes into each and every piece. You can bet each new design we bring you has a story – some make us laugh, some make us cry, they all touch our hearts. The story we have for you today does all of that – and so much more! Today our Platinum team is uploading a very special release of new pretties – with one dress we just know is going to steal your heart away. 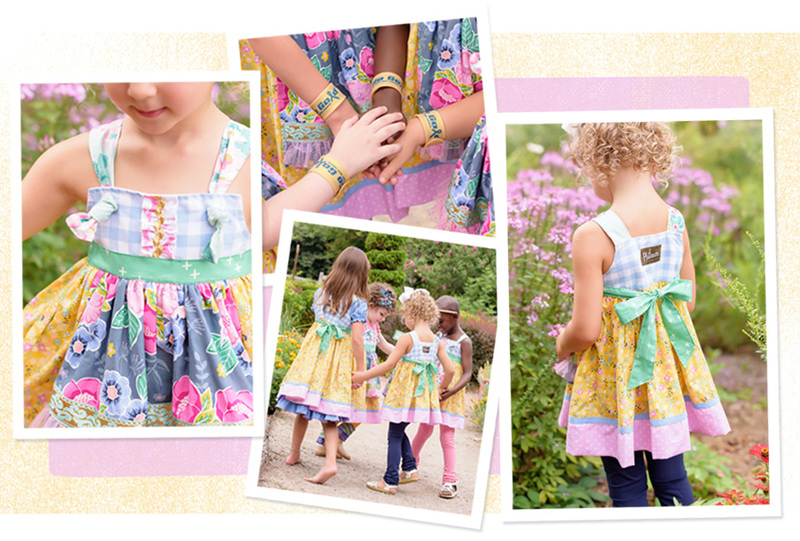 The dress, the Brave & Beautiful Bennett Knot Dress, was named after one super special girl. Little Miss Bennett passed away in October of 2015 from pediatric cancer, but her sparkling and radiant personality made a huge impact on everyone she met – including our friends at the American Childhood Cancer Organization. All proceeds from the dress they helped us design in Bennett’s honor will benefit the non-profit, the oldest and largest grassroots childhood cancer organization in the U.S.
To show off Platinum’s newest pretty, Jamie and one of our Trunk Keepers, Julie DeGraff, planned a photoshoot for three little girls currently receiving treatment, who were joined by a few siblings of children impacted or lost to pediatric cancer. As you can imagine, it was a magical, magical day. There were so many laughs and smiles and twirls! Us too! You can shop this super special dress later today when the latest Platinum upload goes up on matildajaneplatinum.com this afternoon. 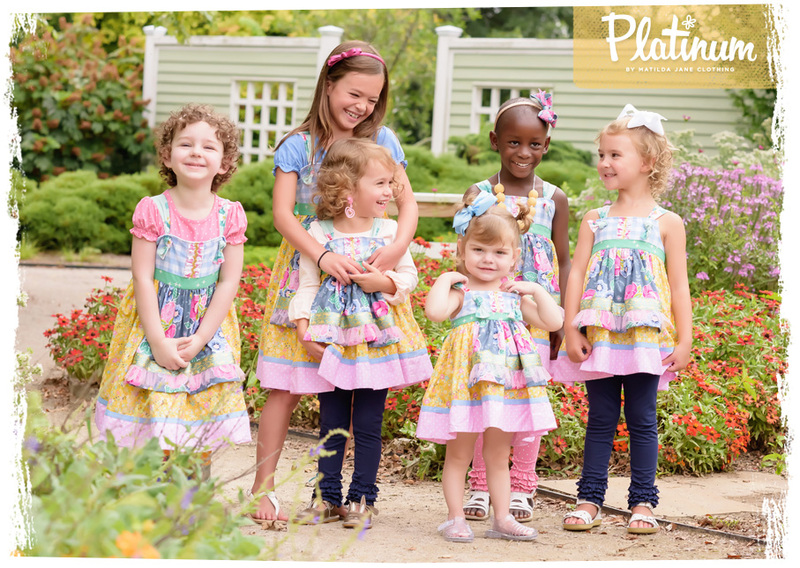 Be sure to check out the Marvelous Molly Ellie Dress, too – as it was named after another special little gal who showed marvelous spirit and courage in her fight against cancer. How do I get one of these gorgeous dresses? Our oldest daughter has been battling a lot of brain tumors are two younger girls have been such a pillar of faith and strength for her. I would love for them to be able to wear these for just stresses and representation of their big sister. What an amazing idea for you to create such a wonderful and thoughtful dress. I am absolutely speechless!